I’ve been mentally hibernating for the last couple of weeks after some rather robust feedback from my supervisor on the latest draft of my thesis which means that I have some large rewrites to do – this post is an action research note reflecting on some of these rewrites. As I have been thinking about the implications of this work, as often happens, a couple of the things I have been doing this week have come together to help me answer the question. The first of these was taking part on “a curated conversation” organised by Fred Garnett and held at BIS – talking about social innovation and the network society. The second was a research workshop with a group of Inspectors and others at Susssex Police which was intended to help shape the next phase of the virtual policing work which I will write up properly next week (I hope). With both of these my interest was focused on how you manage the points of tension and connection between new networked and agile behvaiours and traditional hierarchial and more process driven organisations. Within the thesis I have been perhaps too focused on showing that there is no real point of connection between new digital civic spaces and the representative democratic function. My belief in this lack of connection has made me rather didactic on the subject and has stopped me looking at where there is the potential for the blurring and shifting of these boundaries and has also meant that I have not really engaged with the wider debate about some of these issues (am fairly sure my supervisor thinks I write like a rampant egomanic). So humble pie digested and redraft underway but I wanted to capture some of these connections and tensions here as a response to the weeks activity – and yes it is still a bit of a polemic but I promise its cleaned up before it goes in the thesis…..
One of the reasons why I argue for greater use of both Agile and Experimental methods (as discussed by Gerry Stoker) to explore new policies and process as well as to build technology is that these allow us to describe our destination without having to also define the whole journey plan. The Virtual Policing work is a good example of this – we know that we want to see social media embedded in a useful operational role within neighbourhood policing teams but we are open with respect to exactly what ‘useful’ means in this context and it is one of the objectives of the next phase of the project to try and describe this usefulness with respect to the current processes within the teams. These will almost certainly need to evolve these processes to accomodate the effects of wider engagement using the social web but its clearly impossible to consider greater operational use of social media in operational policing without referencing the processes and outcomes that form the core of neighbourhood policing today. We will use disruptive change where necessary but experiment based policy making is also a valid way of moving forward. The work with the Police, but also the curated conversation at BIS, is partly about trying to address the difficulty of reconciling the idea of hierarchy with the network society. Networks don’t have hierarchies (though they do have power) and the behaviors that are rewarded are different from the behaviours which we currently associate with authority. Leaders in hierarchial organisations are going to hang on to those sources of power and if we want to make systemic change then we perhaps need to start exploring with senior staff how they become more networked themselves in order to help them encourage that behaviour in their own organisations. Emphasising the role of mavericks and disruptors is useful but only if they can set up a creative rather than distructive tension with the current power structures – because lets face it as this point no government organisations is in a state which means it will be overwhelmed by a networked change – the State is still too rooted in hierarchy and we are not yet in a place of such disatisfaction as a society that we have the will to overwhelm it. However I am consistently and increasingly coming across individuals within the Public Sector who are discovering the power that is latent within their networks and deciding to exploit this rather than relying on the usual decision making process – but we don’t yet know how to make this systemic as opposed to exceptional behaviour. Part of this discussion is practical – we just don’t understand how we can deliberately create large projects in a networked way – how we both create a singular vision and also deliver this vision in a networked when we know that this vision has been created outside of the network. This links very much to the thoughts on networked leadership and the need for a persistent conversatation around vision that I posted here. 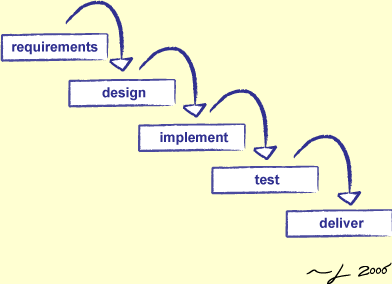 I am a pragmatist and looking at changing the process by which we manage these projects – with adopting agile or experimental approaches – is one way in which we can start to address this need to create and manage more networked projects and learn about creating projects which can flourish within a network without losing their coherence. We also need to appreciate that there is the difference between the social web and the network society and start to discuss behaviours and not technologies. I am all for trying out Yammer but lets start to examine the friction it creates with traditional structures within a large organisation and start to learn from this. Much of the difficulty of creating a public service that is fit for purpose in the network society is actually deep rooted in some of the underlying design assumptions that live within public service. Perhaps the most important one of these to address is, in my view, the need to create a default position of ‘open’ within all organisations at the same time as creating an appetitie for evidence based decision making that demands a higher standard of information and scrutiny than is currently the case. How many of us have worked on pilots which become policy just because we need to bank a ‘success’ rather than learn from evidence? Greater openness and ‘publicness’ is a natural state for the network society which is as Castell’s describes it a ‘space of flows’ where information is the currency that creates and binds networks. Boyd’s depiction of ‘networked publics’ describes an arena of open public discourse. We can expect nothing less I believe from our public services in a networked world than a default state of openness. However, there is one other area where the need to consider openness and publicity and one other important design assumption for public service. We design our public services to be open and accountable to the democratic process – whether we achieve this is entirely another story but this is the aspiration. This is a different kind of openness. With respect to the architecture and infrastructure on which the network society is manifest we are currently building our online world on a largely unregulated and propriatory infrastructure – if code is law as Lessig suggests then our current law makers are the mamagement of companies such as Facebook and Google. If the social web is the manifestation and delivery mechanism for the network society then the fact we are building it on closed systems at the mercy of what is surely a flawed financial system is a disgrace which will continue to stunt the potential of a systemic change away from a failing post-industrial environment. There is a conflict here with the nature of public service which deserves to be highlighted and discussed and not just swept away with our understandable frustration with the public sectors glacial movement with respect to technological change – this is about principle not just code. There are good as well as bad reasons as to why there is institutional resistence to using something like Facebook even if this is not well or even accurately articulated and if we are trying to help the State wrestle with this then we have to acknowledge and not rubbish the valid concern. Social change doesn’t happens instantly – we really do need to address tranisiton as well as dreaming about the future.